CAPCOM Executives Know Ace Attorney Exists?! Coming To Nintendo Switch?! Let's get right to it. The legendary Ace Attorney series from CAPCOM — no stranger to publicity on this site — will be making its way to the Nintendo Switch within a year or so from now. How do I know? A CAPCOM executive said so in Japanese, and people say it translates to this outcome. Not just any CAPCOM executive, however, but Haruhito Tsujimoto, the President and Chief Operating Officer of CAPCOM. (He's also the son of the founder and CEO.) Chief Operating Officers are high-up there in the chain of command. They're basically the second-in-command in terms of the stuff we care about. They tend to be very high-level and not deep in details. The high level for CAPCOM is to release Monster Hunter often, and in as many places as possible. So they are making this Monster Hunter: World game and they showed it at Sony's E3 2017. Then we thought it would appear at Nintendo's E3 2017, but instead it was Mario and Cappy capturing a T-Rex. Through all of this, CAPCOM hasn't really done much for the Nintendo Switch, sticking to the Nintendo 3DS, like with Monster Hunter Stories recently and Apollo Justice: Ace Attorney next week. That looks to change, and in the most astounding confirmation. I mean, think about it. Mirror Is The Most Popular Kirby Copy Ability? Round 2!? By LUDWIG VON KOOPA - Are my tastes in Kirby's copy abilities more mainstream than I anticipated...? Exactly two months ago, we told you about the Kirby Battle Royale: Kirby Copy Ability poll that was hosted by Nintendo. It lasted for a few weeks, I voted every day for Mirror, and that's all we heard. Yippee, 25th anniversary. Now we know the results... and Mirror won! 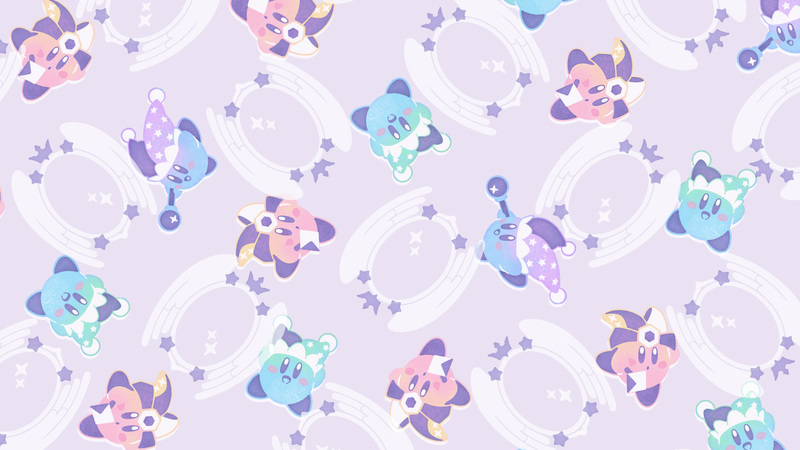 Mirror will now be added to Kirby Battle Royale as a copy ability, and there is a really underwhelming wallpaper you can download to your computer or smartphone. This is kind of lame. It's my current wallpaper, though, because I was using my previous one (Pokémon 20th anniversary Mythical Pokémon) for way too long. And then in an unknown order there are the Wing, Cook, Missile, Sword, and Suplex abilities for spots 6 to 10. But wait... there's MORE! There's a ROUND 2! A FINAL VOTE! By LUDWIG VON KOOPA - I support the fantastic option. Check Splatoon 2's Inkopolis Square right now — a new Splatfest has opened for voting! Yeah, Nintendo doesn't want you to abandon Splatoon 2 just because a new must-have game got released a few weeks ago. Depending on how you vote for this Splatfest, you can support said game! What is it? 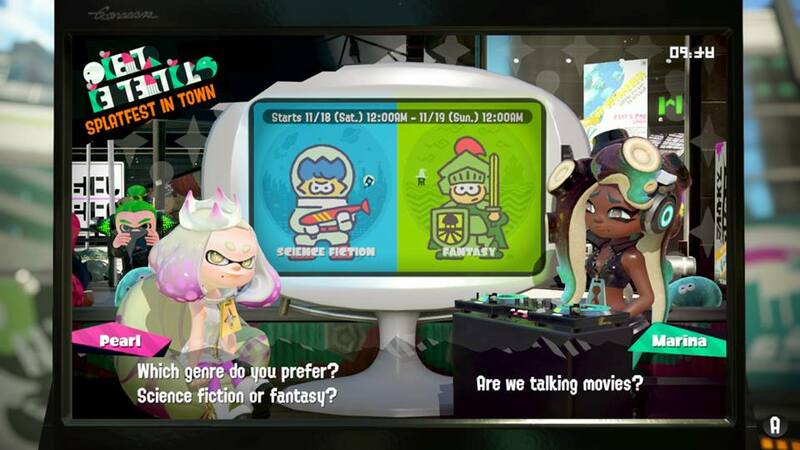 On one side, we got Team Science Fiction lead by Pearl! And on the other side, there is Team Fantasy lead by Marina! The battle of the genres: Science Fiction versus Fantasy! Let me tell you straight-away: I'm supporting Team Fantasy in this article and for the Splatfest. I don't trust something that is written as “Science Fiction” but is abbreviated as “sci-fi”. Where the hell did that hyphen come from? By LUDWIG VON KOOPA - I could talk about all fourteen, but I do intend to sleep tonight. It is that very delightful time of year again: Nintendo is halfway through their fiscal year, and Nintendo president Tatsumi Kimishima fielded questions from the always unintentionally-hilarious investors and analysts. I'll give my analysis on FIVE of the most interesting of the fourteen questions. There are some points I need to make based on the other bits of investor relations information, so we can all be on the same page as the funny investors. First, Nintendo announced that they are revising their forecast of planning to sell 10 million Nintendo Switch units from April 1, 2017 to March 31, 2018 to... 14 million Nintendo Switch units! That means they will plan to have sold almost 17 million Nintendo Switch consoles by the end of March 2018, which will surpass the lifetime sales of the Wii U. Second, ARMS is the worst-selling first-party Nintendo title on the Nintendo Switch, at 1.35 million units. This trails 1-2 Switch, which has 1.37 million units... which seriously trails Splatoon 2 at 3.61 million units. Third, there are no longer more copies of The Legend of Zelda: Breath of the Wild sold (4.70 million units) than there are Nintendo Switch hardware sold (7.63 million units). 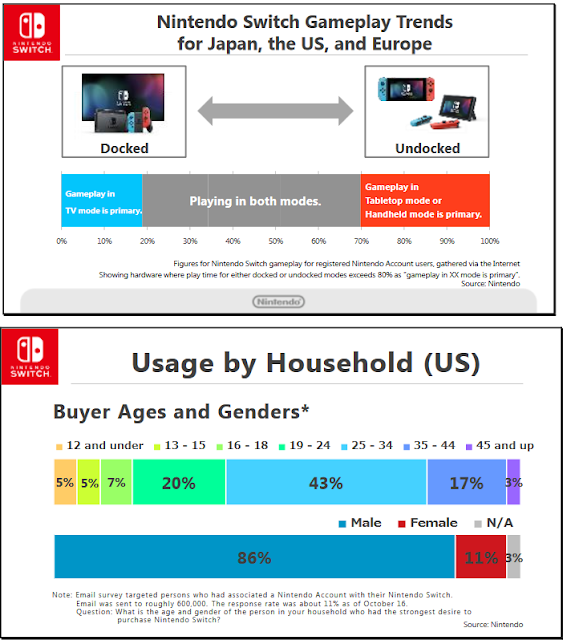 I want to know a regional breakdown for the Docked vs. Undocked chart, and I want to know what's up with that 3% N/A gender breakdown in the Usage by Household chart. I'm one of those 20% of people who only play Docked. With all of that background in mind, let's go into the investor questions! 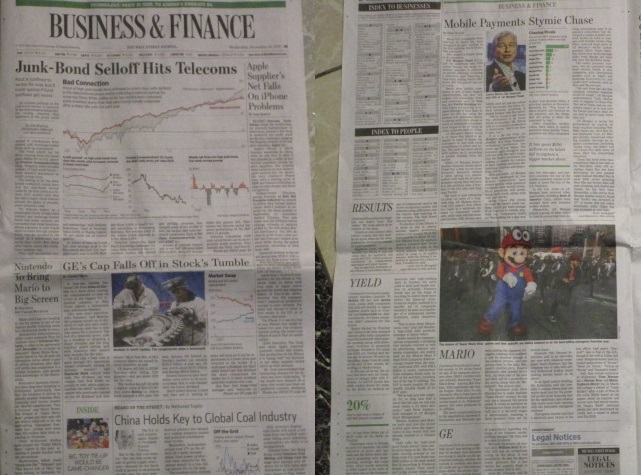 Spoiler alert: The investors didn't ask or care about Miiverse, the Wii U (which was considered That Which Must Not Be Named), or even the 3DS. It was all Nintendo Switch and mobile trash for them. That should put things into perspective and should give rationale for why Nintendo shut down Miiverse. Nintendo requests that I hyperlink to the Q&A document they have, which sounds like a good idea even if they didn't ask. Daylight Savings Time Withdraws. Abolish It Permanently, President Trump! By LUDWIG VON KOOPA - We're interrupting our regular anti-DST cadence to bring this special interview. Since 2015, KoopaTV has written an article every March bashing Daylight Savings Time, accompanied by a request for it to be abolished. For this year's (2017) article, we wrote directly to President Donald John Trump calling for him to abolish Daylight Savings Time in the name of Making America Great Again. He never replied. It's been almost eight months now. Why do I expect a reply? Well, aside from the fact that I AM a foreign almost-head of state (and President Donald John Trump is responsive to us types of people), we got a response from former President Barack Hussein Obama back when we sent him a letter. It took him a little over two months to reply back, and we considered that a long time. I said that I would publish President Donald John Trump's response to our first letter, but since it doesn't exist and now Daylight Savings Time is taking a respite (until March 2018, if nothing changes), we figured that perhaps President Donald John Trump's extreme-vetting and work on THE WALL that cut KoopaTV's article production by 40% back between February and the end of April perhaps got our first letter lost in the mail. Now that we are well back into our one-article-per-weekday flow of things because America's legal system keeps staying his immigration orders, I sent him a new letter. Read it below. By VORTEXICA - Also, Vortexica explains why he's not dead. Hey! It's me, Vortexica! Long time no see! Pokémon Ultra Sun/Moon: Meet Team Rainbow Rocket?! By LUDWIG VON KOOPA - They're trying very hard to change my opinion on these games by literally throwing the entire franchise history into one game. I think I made my opinion on Pokémon Ultra Sun and Pokémon Ultra Moon VERY clear in my previous article about those games. It appears that Game Freak and The Pokémon Company International were listening closely to what I was writing. While most other people on the Internet's response was that it was clear that Ultra Sun and Ultra Moon would be very different than Pokémon Sun and Pokémon Moon, I still maintained that they would be the majority-same. 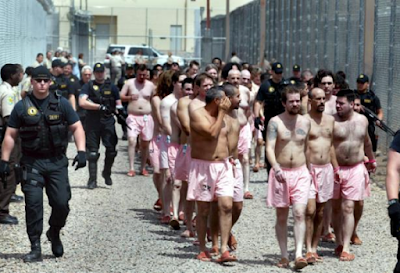 I have changed my opinion, so consider this my apology article. Pokémon Ultra Sun and Pokémon Ultra Moon will be different than Pokémon Sun and Pokémon Moon in many ways. Not VERY different, mind you, but I'll say more than 30% different, which was the threshold I gave myself in my previous article for when I'd admit I'm wrong. Even if there will be a lot of shared content, I will admit that it appears that the ATMOSPHERE and CONTEXT that the identical content will exist in will be different. Perhaps I should've figured that out when Hau and Lillie switched facial expressions. By LUDWIG VON KOOPA - A lot of changes, and a big opportunity for you. We are entering the last two months of this INSANE year, 2017. Long-time readers know that KoopaTV gets in a very giving mood around this time, but you should hold on a bit before we get to that. After all, October had some changes to the KoopaTV formula of success that are very impactful, so it's best to cover those in this newsletter. KoopaTV Loyalty Rewards Program Round 16 RESULTS! Only the first-placer, Kody B., will get a prize for Round 16: A $10 Nintendo eShop card! Yippee. This is unlike Round 17 (announced below the fold immediately following the next paragraph) which will have MULTIPLE PRIZES to give out! Awesome!